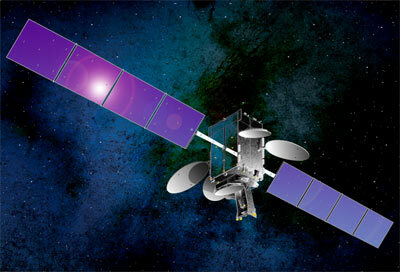 Space Systems/Loral (SS/L) and Telesat today announced that it has been selected to provide a new satellite, called Telstar 14R/Estrela do Sul 2, which will replace Telesat's Telstar 14/Estrela do Sul 1, utilizing SS/L's SSL-1300 bus to deliver high-powered Ku-band services to growing markets throughout the Americas and over the Atlantic Ocean. Space Systems/Loral designed Telstar 14R with five antenna beams that have high-power transponders with substantial on-orbit switching capability. The satellite will provide additional capacity and improved capabilities in its coverage areas, which include: Brazil, the Continental United States (including the Gulf of Mexico and northern Caribbean), the Southern Cone of South America, the Andean region (including Central America and southern Caribbean), and the North and Mid-Atlantic Ocean. The new Ku-band satellite will replace Telstar 14 at its 63 degrees West orbital location and will have 46 active transponders, of which 27 will be fixed and 19 will be switchable. Telstar 14R will have five coverage beams: Brazil, the Continental United States (including the Gulf of Mexico and northern Caribbean), the Southern Cone of South America, the Andean region (including Central America and southern Caribbean), and the North and Mid-Atlantic Ocean. The satellite's Atlantic beam will expand on the coverage of the Atlantic Ocean Region capacity of both Telstar 14 and Telstar 11N, and secure Telesat's position as a leader in mobile broadband for maritime and aeronautical customers operating in the Atlantic. SS/L will be the prime contractor for Telstar 14R, designing and building the satellite and supplying its payload. Telstar 14R will utilize the proven SS/L1300 platform, will have a 15 year mission life, and a launch mass of approximately 5000 kg. Total spacecraft power will be approximately 11 kilowatts. An important advantage of the satellite's design is that Telesat will have the capability to switch amplifiers to different regions resulting in flexibility to match satellite capacity to market need. Telstar 14R was launched on an ILS Proton-M Briz-M rocket built by Russia's Khrunichev State Research and Production Space Center. Telstar 14R failed to deploy the north solar array. It remains unclear, if the panel can finaly be deployed, but the satellite can be operated with reduced capacity with the jammed array. The operator likely will be able to use 60% of its capacity and operate for 12 years in orbit despite the problem, which now appears permanent. According to these estimates, Telstar-14R will offer 20% more capacity than the original Telstar 14/Estrela do Sul it is intended to replace, which itself was stricken by a similar solar array deployment anomaly in 2004.